Wirehouse Wells Fargo is considering selling its retirement plan services business, Bloomberg reports, citing people familiar with the matter. The sale of the unit, which is part of the company’s wealth management division that also includes Wells Fargo Advisors and Abbot Downing, could be worth up to $1 billion, one of the people, who asked not to be named, tells the news service. But talks about a possible sale are still at an early stage and Wells Fargo may opt to keep it, the people tell the Bloomberg. The retirement plan services unit offers custody, record-keeping, trust and other services to corporations, according to the news service. A Wells Fargo representative declined comment to Bloomberg. The company has been selling off parts of its business — including several branches in the Midwest, its Puerto Rico auto lending unit, and a payroll services unit — since the 2016 revelations that employees in the company’s retail banking division opened millions of bogus accounts, the news service writes. Since taking up the helm at Wells Fargo’s wealth and investment management division last year, Jonathan Weiss has been looking at ways to streamline the retirement plan services unit, and this August revealed plans to hire an operations executive to assess its efficiency, according to Bloomberg. Wells Fargo’s wealth management division seemingly avoided the scandals plaguing the rest of the company until late last year, but its sales practices are currently under investigation by the SEC and the Justice Department. 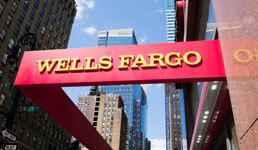 And earlier this week, Jay Welker, head ofWells Fargo’s private bank as well as its wealth management division who reports to Weiss, said he’s retiring in March. The Wall Street Journal reported in August that Wells Fargo was investigating complaints against Welker alleging gender bias. Client Testimonial Rules Should Be Facebook and LinkedIn Friendly... But They're Not! Will the SEC's Customer Relationship Summary Actually Work?